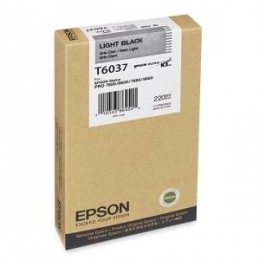 Refillable Ink Cartridge is designed for use with Epson Stylus Professional printers. High-density pigments provide an extremely wide color gamut. Professional print permanence rating provides truly sellable quality prints. Ink offers high-gloss Microcrystal Encapsulation technology for reduced gloss differential and superior scratch resistance from improved pigment and resin chemistry. Color print is stable immediately after printing, with no short-term color shifting. Refillable ink cartridge cuts printing costs dramatically because you can use the same ink tank over and over.